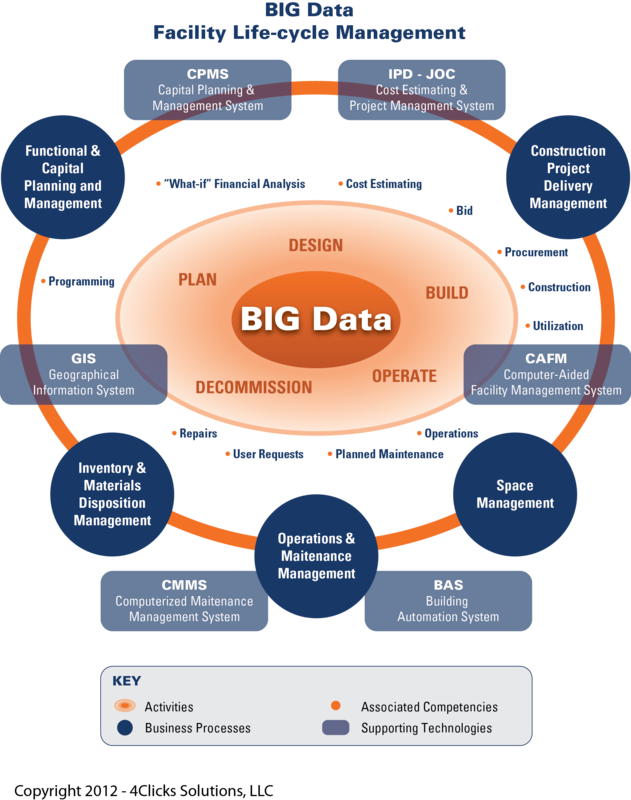 Process centric data models are needed for BIM and …. 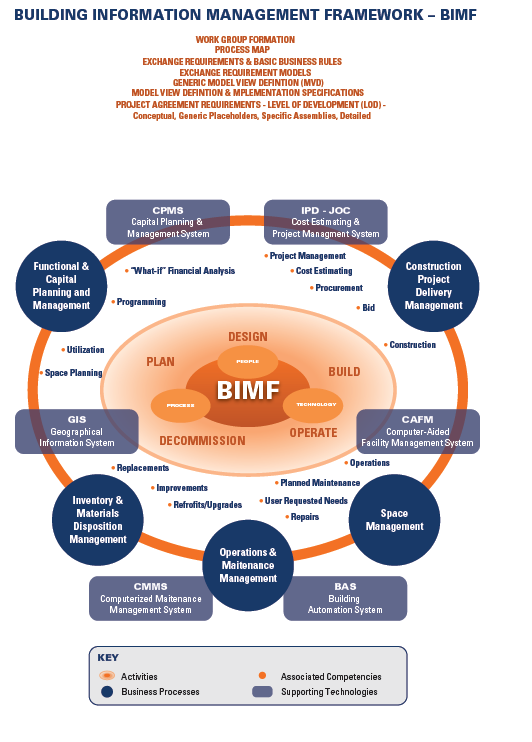 BIM, the life-cycle management of the built environment supported by digital technology is all about the integration of PEOPLE and PROCESSES and INFORMATION. The following are MANDATORY on any BIM implementation checklist. Please add to the list and/or comment! 2. A robust ontology – clearly defined terms, definitions, metrics, benchmarks and their inter-relationships with each other and associated processes. 3. Linkage for multiple “competencies” and/or “knowledge domains” associate with strategic and capital planning, design, procurement, construction, project management, repair, maintenance, sustainability, operations, and deconstruction/re-use. Procurement/Project Management – IPD, JOC, Cost Estimating, Scheduling ..
To date, ongoing efforts continue relative to the specification of batch and transactional exchanges, upon which this process models can be based. The concept of a model view defintion (MVD) and or a facility management handover model view defintion (FM MVD) are “pioneering” attempts to add structure to previously disparate and ‘ad-hoc’ methods. Industry Foundation Classes (IFC) are open and neutral data formats, and the IFC View Definition and the MVD are synonymous. The MVD is a subset of IFC intended to provide implementation guidance for classes, attributes, relationships, property sets, quantity sets, etc., however, the issue that these have yet to be adequately described. Omniclass, for example, is far from complete, and MasterFormat and Uniformat, while both are robust, do not have fully defined relationships. The FM MVD specifically is an attempt to transform paper-based deliverables into a rich dynamic electronic information repository. The attempt however will fail without are robust ontology and clear definition of all requisite competencies, information, processes, and their inter-relationships. COBIe ( Construction-Operations Building information exchange0 and its offshoots LCie, SPARKie, etc. 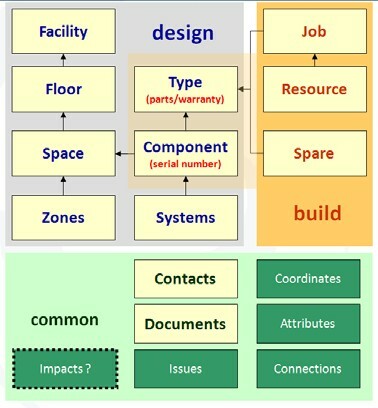 are schema/data architectures intended to provide an open framework for the exchange and delivery of construction handover information, and eventual life-cycle management of the built environment. Great care, however, must be takes not to “reinvent the wheel”, or to “automated existing ad-hoc or inefficient AEC practices. 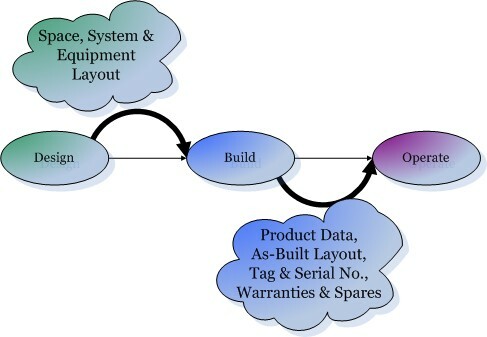 COBIe and its peers MUST be applied and used with fundamental changes in construction delivery methods and standardized ontologies spanning all “competencies”. In short, keep what is good, through out what is bad, and do so in an open/transparent manner using commonly defined terms, metrics and benchmarks. 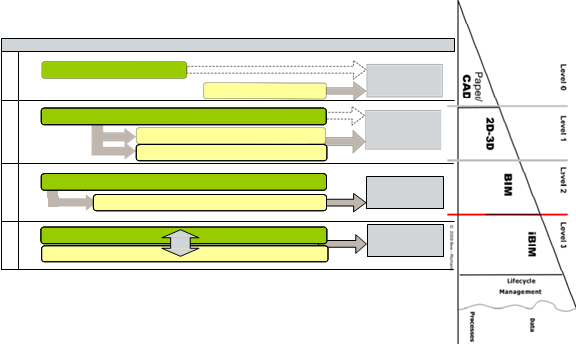 While the “COBie model” does fairly well at showing b the relationships among model entities and the overall staging of COBie information delivery, it does little to advance fundamental process changes. It does not clearly define the concept of life-cycle management of the built environment nor COBie’s role in the endeavor. Planning, design, procurement, construction, repair, maintenance, operations.. can no longer be thought of a discrete. All are interdependent relative to total cost of ownership and life-cycle management.